Calgary is rounding the corner on a bruising economic downturn just in time for a municipal election where there is a high number of council seats — possibly even the mayor's chair — up for grabs and some big ticket items on the agenda, not to mention provincial battles that could influence the local vote. Originally published on September 18. Calgary is rounding the corner on a bruising economic downturn just in time for a municipal election where there is a high number of council seats — possibly even the mayor's chair — up for grabs, and some big ticket items on the agenda, not to mention epochal battles taking place at the provincial level that could influence city voters. In other words, it's a significant election. Come October 16, there could be a vastly different council, both in terms of its members and the viewpoints they represent, and they won't have much time to settle in before some big decisions will have to be made. The city is facing a shortfall of $170 million in next year's operating budget, it has pulled from reserves to soften recent blows, but can't keep doing so. It has been forced to significantly raise property taxes on businesses, in some cases due to empty downtown towers, and is engaged in a war of words over a potential new arena that is one sizeable puzzle piece in a possible Olympic bid. Also unusual is the fact that five wards — 3, 5, 6, 10 (sort of) and 11 — won't have an incumbent in place to dominate the race, including one sitting councillor who will run in a new ward (10) after boundaries were redrawn. And although the mayor remains popular, he's fallen from the unassailable perch he once occupied and is facing off against a council veteran and a man who at one point helmed the once-mighty PC party. "It might not be super high profile. Because there's an incumbent mayoral race, it's not like 2010, where you had this really surprising outcome that caught the interest of people inside Calgary and also outside Calgary and kind of made headlines across the country, it may not be that kind of election," said University of Calgary political scientist Jack Lucas. 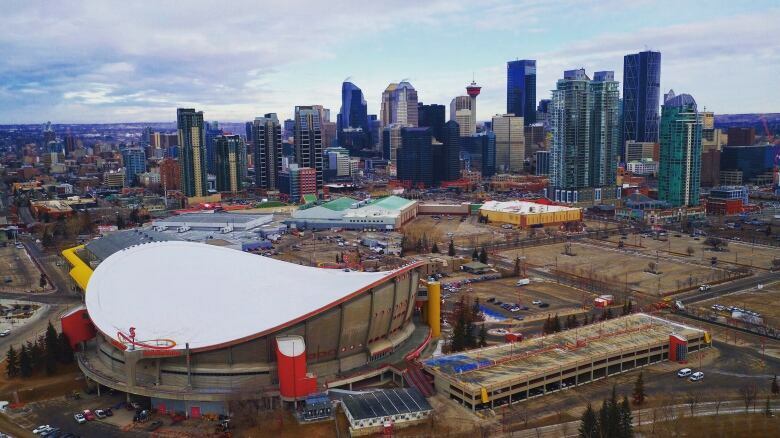 "But for the city of Calgary, it's very important." Lucas points to property taxes, downtown commercial vacancy rates hovering around 25 per cent, as well as the aforementioned arena battle, the Olympic bid that could end up costing $2.4 billion if successful and lingering decisions about the biggest single infrastructure investment in the city's history — the $4.6-billion Green Line LRT — as just some of the significant decisions that will have to be made after the election. He says the biggest question mark hanging over the race is whether emotions like fear and anger win the day over policies and plans when citizens head to the polls. "Is this city election going to resemble a typical city election with a mayoral incumbent where turnout is relatively low, attention is relatively low and incumbents have a fairly easy time returning to office? Or are we facing something more like Alberta 2015 where there's a real shake up?" he said, noting he's not sure of the answer without so much as a whiff of polling data. Adam Legge, who heads the Calgary Chamber of Commerce agrees this vote is one for the books, but naturally his focus is on the present and future impacts on local commerce. "The economic conditions we find ourselves in right now are unlike anything we've really seen in a number of past elections and we're seeing business sort of reach a tipping point of simply being unable to keep contributing to the ever-increasing demand that all levels of government are putting on them, including the municipal government," he said. His organization released a manifesto of sorts, laying out what it wants to see happen for business in the city post election, primarily concerned with taxes and making things easier for businesses to operate within civic borders. Businesses have been asked to shoulder too much of the burden for the city's largesse, he argues. The ratio of business property taxes to personal property taxes is 3.5:1, meaning for every thousand dollars in personal property tax, a business pays $3,500. The chamber wants to see that reduced to its 2014-level of 2.85:1 and get it to a ratio of 2:1 within a decade. Essentially, the chamber wants citizens to chip in more in order to offer some relief to business, a politically tricky calculation for those elected by citizens. 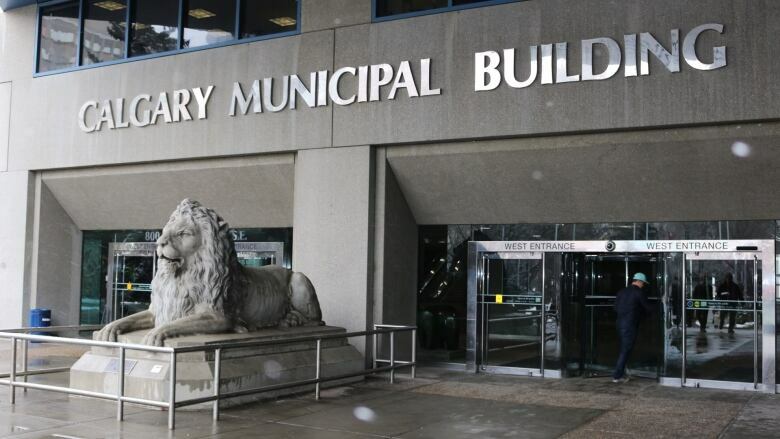 "There is a largely agreed to principle in Canada that businesses will pay a larger proportion of the property tax base to their jurisdiction, but what we found in Calgary is that that ratio has gotten out of hand," said Legge. 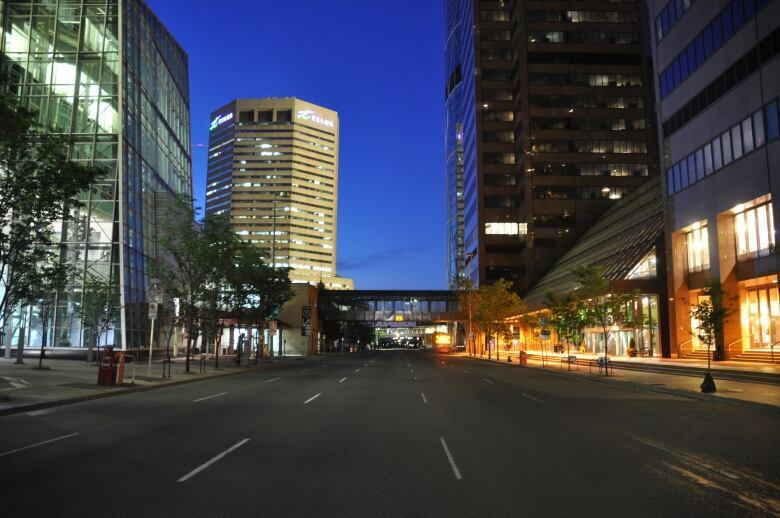 Calgary as a political entity has been hit just as hard as individual Calgarians when it comes to the recent economic doldrums and that can have an impact on the civic mood. The mix of personal hardship and budget challenges for the city can make some cash-strapped voters particularly cranky when they hit the polls. Legge and the chamber want to see spending tied to population growth plus inflation, ensuring there's enough people to pay for city services and niceties — including a public contribution to a new arena, he says. Council has made efforts to ensure tax increases don't go up too high, too fast, and city administration has managed to carve out savings of almost $200 million from its operating budget, but some argue the low-hanging fruit has been plucked. At the same time, council has been digging into reserve funds in order to stave off high rates, at least temporarily. Even on the business side, council has tried to cushion the blow by taking $45 million out of a reserve fund to help those most affected by tax increases brought on by the hollowed out office towers downtown. Still, those cushioning efforts can't last and 2018 could bring a double whammy of sorts, with 2017's deferred increases mixing with any new hikes. "The reality is the new council will have significant decisions to make as to how to balance this going forward," said Legge. "We probably have this scenario in front of us for five to 10 years and there just isn't enough money in reserves to deal with that." That's a pretty terrifying assertion for many to hear, but it's not an uncommon refrain: the city and the province can no longer depend on the oil and gas industry floating the entire enterprise. Councillors will have to figure out how to attract new businesses and buoy the economy without $100 barrels of oil. It's that question of how to attract enough new business to the city and put an end to the century-plus roller coaster of boom and bust that shifts the conversation to what kind of city we should be building and why. Finding new industries and new workers requires a high quality of life, or so goes the accepted mantra. 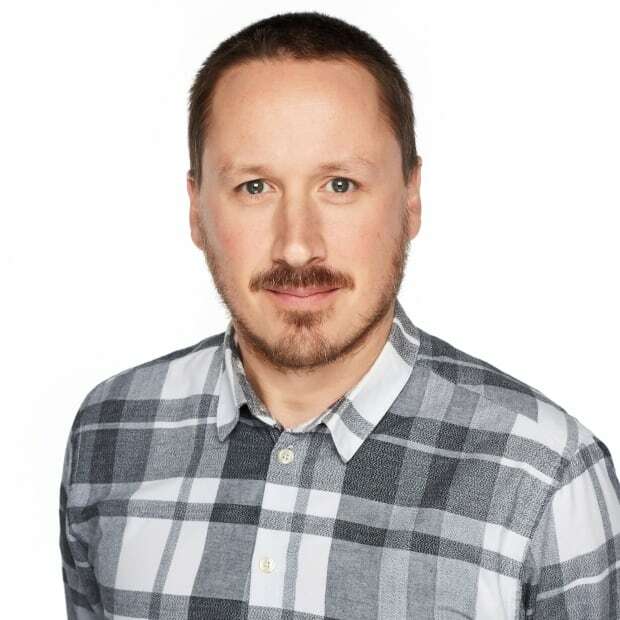 Graham Livesey, who's a professor of urban design and architecture in the faculty of environmental design at the U of C, says Calgary has done a pretty good job of building an attractive, liveable city. "I think we're doing all the right things to attract people, I'm really impressed with the young entrepreneurial spirit here," he says, highlighting the East Village and the work of city-owned Calgary Municipal Land Corporation as well as the raising up of the Beltline and the city's vast pathway system as examples. Transforming towers: Might Calgary convert vacant downtown offices into condos? He also says the idea that has been floated of allowing for the conversion of empty downtown office towers into residential condos is a "really good move" although the market for condo living in Calgary has yet to reach any kind of high water mark. Anyone heard of an arena debate? Of course, talk of revitalization and rebirth, development and public dollars inevitably leads back to the great arena debate of 2017, something more than a few folks on city council wish was either settled or sidelined for this election. And while economists largely point to the dismal record of arena deals as would-be saviours of cities, without getting bogged down in the finer points of finance and who should pay how much for what, there are examples of developments that can bring growth and renewal to an area like east Victoria Park, just north of Stampede Park, which has sat as a glorified parking lot for decades. "I think Victoria Park is the right place. Absolutely an arena can be the centre of a great urban district," said Livesey. "Look at the mess that Ottawa has on its hands with that disastrous rink out in Kanata. They can't fill it, even in the playoffs." He says arenas and the entertainment they bring, even outside hockey, are an important part of a large, thriving city, with hundreds of nights of performance and spectacle outside the sweat of sport. "Look at the history of cities. What are cities? Cities are places of employment, they're places of leisure and fun and entertainment," he says. "You know, the Romans built massive arenas to slaughter people in because they knew that that's the way it works. Cities need these facilities and someone has to pay for them." Without the team and the arena, and a district plan to support it, a lot of the work that has been done to create a city where people want to live will dissipate, argues Livesey. And with that dissipation, the economy could take a turn for the worse. Bruce Foster, who heads the policy studies department at Mount Royal University isn't sure the economy is going to play a starring role in the election, however, despite its position firmly in the centre of so many local minds. "Canadian voters, you know, federal, provincial and municipal, are very good at separating out those layers. If the economy is bad — we know that the economy has given Calgary a good kicking — but is that due in part to what the city has done? Highly unlikely apart from perhaps spending that people don't agree with. I mean, most of that vitriol is reserved for the provincial government." So will that vitriol spill over into the municipal realm? The frustrations directed, rightly or wrongly, at the NDP government for the state of the economy could mean the concerted — and newly, sort of united — conservative push to take back the province starts at the local level. There's already a right-of-centre slate established for the Calgary Board of Education trustee race, so-called political action committees still organized after the unite-the-right fight, and the ever-present influence of those trained at the right wing Manning Centre. "There is a fair bit of activity going on in provincial politics right now, so it's possible that it will affect things," said Lucas, adding that we won't really have any insight until after the election when contributions are disclosed. Even then it will be limited. Foster, who studies right-wing politics and populist movements, hasn't seen evidence of a shadow campaign, however. "Really, I haven't yet seen a really concerted conservative push into this, as yet. You know, we're gearing up for the campaign, so you might be able to see it coming," he said. What could be more interesting is the actions of third parties, unaffected by already lax campaign finance rules in Calgary. "Because there's no limit on that spending, that's where you're going to see something interesting happen. Can they use their funding and their influence to try to persuade the voters in their direction?" asks Foster. "We don't often see that in Calgary at the municipal level, so it's going to be interesting to see if they indeed have any traction." What makes that aspect of the election interesting, is that it may just be the last year those groups can make an impact while remaining in the shadows. It's also very likely the last of the big-spending elections at the municipal level. 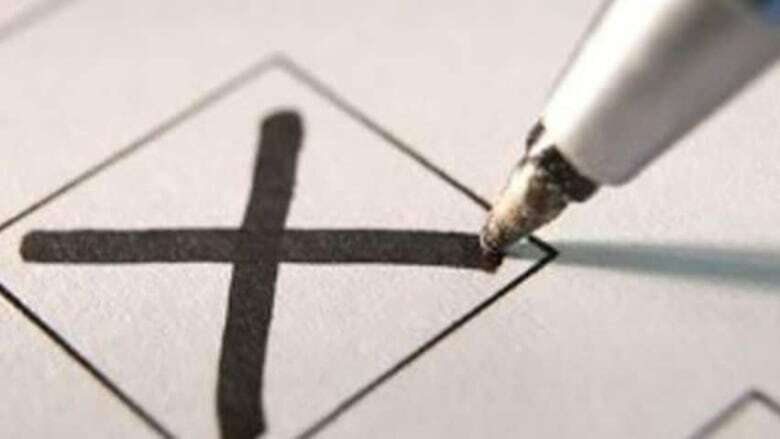 Both will be affected by an almost assured provincial clamp down on municipal campaign finance rules after this election that will more closely mimic federal and provincial regulations. And with those rules comes the possibility, however slim, of reduced incumbent strength and a higher churn of new faces around the council table every four years. So maybe 2017 is also a preview of sorts for what's to come. Drew Anderson is a web journalist at CBC Calgary. Like almost every journalist working today, he's won a few awards. He's also a third-generation Calgarian. You can follow him on Twitter @drewpanderson. Contact him in confidence at drew.anderson@cbc.ca.